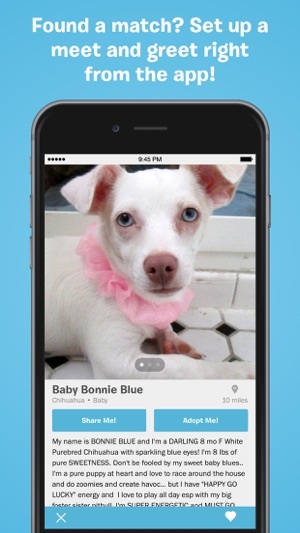 BarkBuddy is the first app designed to locate adoptable pups in your area and fetch you a perfect match! - Browse through thousands of pup profiles. You can get more info about a pup, share it with friends, and save your favorites. 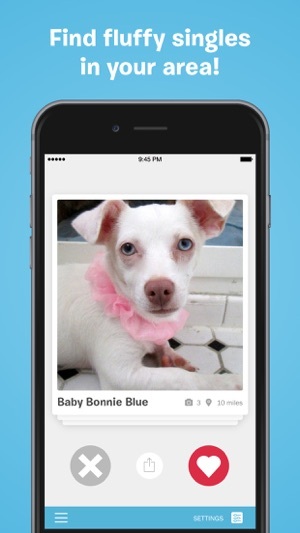 - As you swipe through photos of adorable dogs nearby, the better our recommendations become. 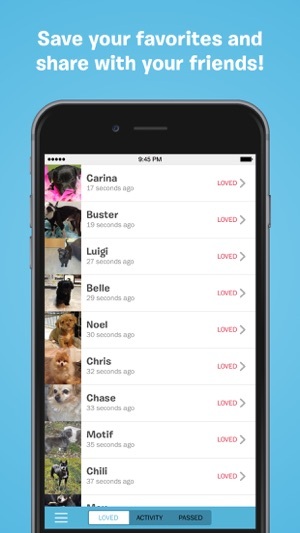 Our app looks at the different aspects of your favorite pups to recommend more we think you'll love! - Learn a little bit about your own canine preferences! We gather stats and give you an idea of the breeds your most drawn to. 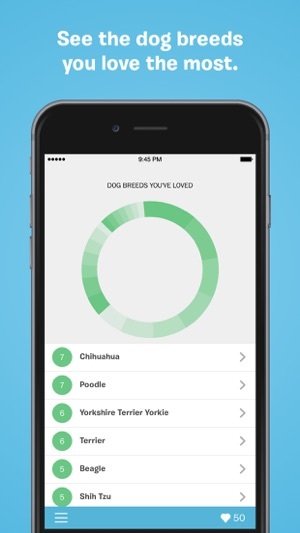 You can even comb through your favorite dogs by breed on this Stats page. - Check out the pups you’ve loved at any time, see those you’ve passed on and track which rescue groups you’ve reached out to in your history! - Once you sniff out the perfect new pack member get pre-approved to adopt! Not looking for a new buddy? Be a matchmaker yourself by sharing these pups with your friends and family on Facebook. Download this puppy and together we can get these dogs in loving homes! BarkBuddy is a creation of the dog lovin' team at Bark & Co. Brought together by their love of all things canine, Bark & Co’s first product, BarkBox, is now one of the most popular subscription products out there! This success has allowed Bark & Co to continue to build products that foster the health and happiness of dogs everywhere. 4 years ago this app showed me a beautiful chocolate chihuahua that NEVER popped up on my Petfinder searches. Even though she’d been on Petfinder for a few months. To all those upset about having to drive 10 miles to adopt a dog? Seriously, you don’t deserve a dog. This app is wonderful! This is an amazing app that helped me find my two dogs who I love to death. Every once in a while, though, there will be moments in which no dogs show up but my suggestion is to go to settings and just move something around even the tiniest bit, because whenever I did that, I got new dogs. This app is more of a proof of concept and not a full release. The smallest range you can search on is a 10 mile radius. Yes, get ready to get in that car and drive 10 miles to meet your new dog friend. The dog profile screen is laughably simple and provides almost no filtration options. More like a college project then a full iPhone app.